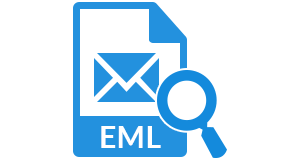 With EML Viewer, the user can easily view all the .eml messages with proper formatting of the emails. The user can read the email messages with its attributes like To, From, etc. However, the user can preview all the EML files along with its attachment, which generally includes .doc, .docx, .xls and much more. After Once users have selected the specific folder having EML files after this, software will process and start loading all the files automatically. Moreover, EML File Opener will also display the total number of all the email messages within the desirable folder. This software is designed in such a way that it can save the Gmail message header and Hotmail message header as a text format. When user wants to rename this file as .eml file then, it will become easy to read the complete message on Gmail EML Viewer and Hotmail EML reader respectively. While running the EML opener software, the user will get the Windows Explorer style interface. The user can easily browse the desired folder, which have all the .eml files and view them accordingly. The simple interface makes it beneficial for a non-tech user, who simply wish to extract email addresses from .eml files. The EML File Viewer provides two preview modes to add the .eml files. With this software, user creates the view of each mails and attachments in horizontal mode by default. In addition, it is possible that user can switch the mode of the software from horizontal to vertical view. 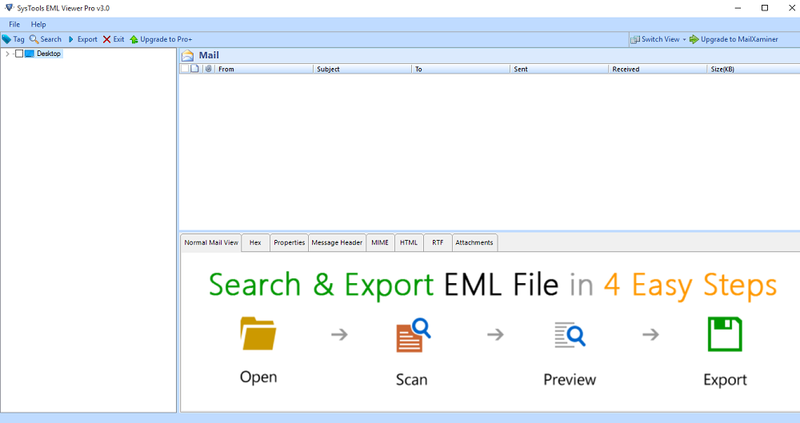 The EML file viewer software, supports all sent and received emails with attachments in noname.eml file format. When these attachments received on a Web mail client usually are inaccessible. For this application, make sure user can easily read the 'noname.eml' format and attachments as well. 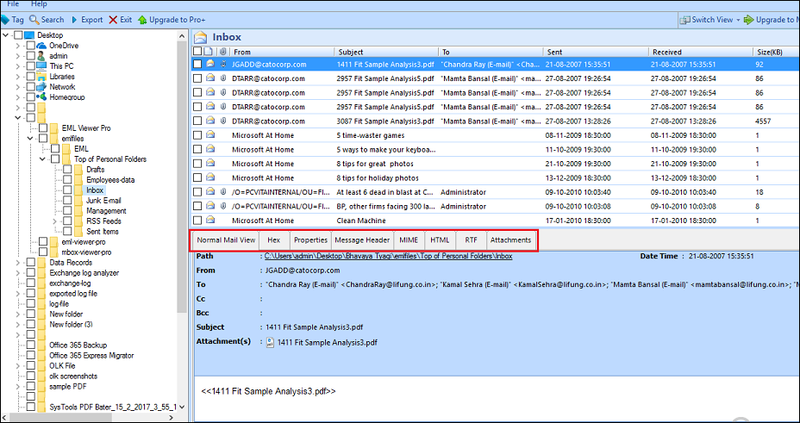 Will it be possible the software extract the email header of the EML files? Yes, the user is capable of reading and viewing the header part of the .eml emails with EML file Viewer software. Can I load multiple EML files automatically within a folder by using the EML reader? 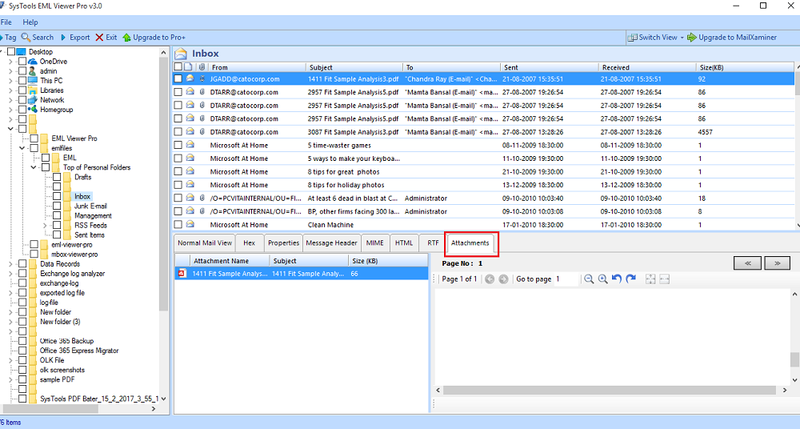 Yes, the EML File viewer provides an auto-load option to view all the email messages in a particular folder. Does the EML Viewer software permit to view the EML files along with the attachments? Yes, user can easily view all the attachments of EML files containing .doc, .docx, .xls, .ppt, and other file formats with this software. Is there anyfile size limitation on the number of EML files that tool can process? No, there is no such limitation and user can easily view any number of .eml files with EML file Reader tool. Does the software require any other email application to view EML files? No, the EML file reader is a standalone utility. So, user can open the EML files for reading them through this freeware tool. Go to Start » All Programs » EML Viewer. After this, you can view the .eml files in the following way such as Normal Mail View,Hex View, Properties View, Message Header View, MIME View, HTML View, RTF View. View attchments by clicnking on Attachment tab. 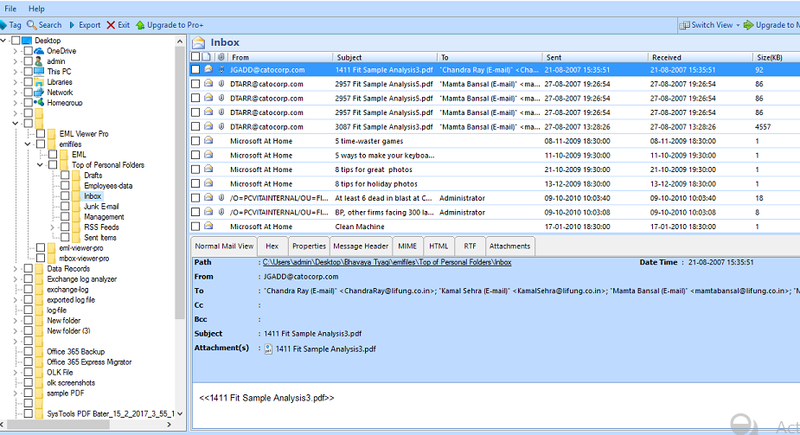 "EML File Viewer is one of the best viewer to open and read an email messages with attachments in a consistent manner. Even a non-technical user can conveniently extract the contents from EML file by using the tool. Thanks to the whole development team for creating such an amazing utility"
"I must say it is really an awesome solution to open and view EML files on Windows OS. I had used this utility to open the text file on my PC because I do not have MS Word installed on my local machine. One of my friends advised me to use this freeware and I followed the same. Actually, the EML reader is nicely developed with an interactive interface and useful set of features."